How do you like your iPhone 5? White? Black? How about Birch? Or Mahogany? Or Walnut? 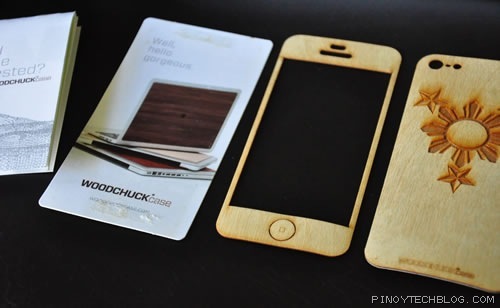 For the rustic feel, you can now give your iPhone 5 (and other gadgets) a wooden finish with Woodchuck Case. 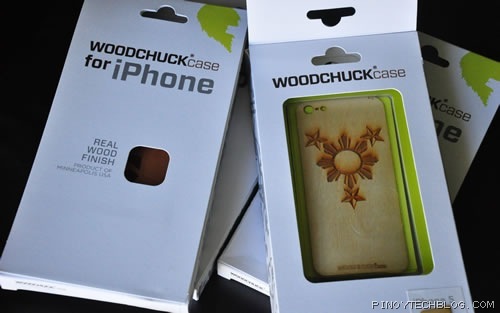 Woodchuck Case offers proudly U.S.-made wooden panels you can apply to a variety of gadgets such as iPhone, iPad, Galaxy S3, Kindle Fire, MacBook, and even Beats headphones. These panels are made of real wood applied via 3M adhesive so that should you wish to remove it, it will be pain and residue-free. If you’re tired of the same glossy finish of your device, you can definitely stand out from the crowd with a Woodchuck Case. They gave us a couple of sample cases to try on my iPhone 5. 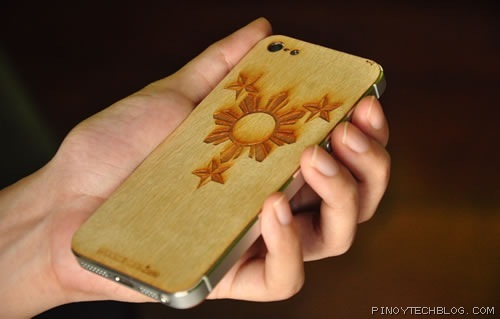 I had mine customized with the 3 Stars and a Sun logo etched at the back. Each package contains the front and back panel and applying it is very easy. Just remove the adhesive guard on the panels and line it up properly on your device before sticking it in. Once everything’s in place, press it down for a few minutes. The wooden panels act as protection for the back and front of my iPhone 5 although the size are exposed so I shouldn’t be too careless handling my phone. I noticed that the wooden panels are rough and not laminated. This gives my iPhone 5 a better grip but makes it prone to dirt as well. With the birch wood, I’m sure it’s going to get dirty over time. Should’ve went with the mahogany instead. Anyway, my iPhone 5 is getting a lot of stares and compliments. The wooden finish looks cool and the only complaint is the lack of protection on the sides. I’m thinking one of those bumper cases will do the trick, or maybe get a pouch for it. 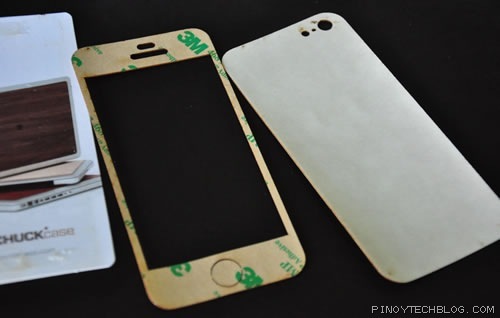 Want some wood on your iPhone as well? Get it from Woodchuck Case online for $29.99. International shipping cost is a pain but if there’s enough interest, they’ll work with a local distributor to get these cases here. 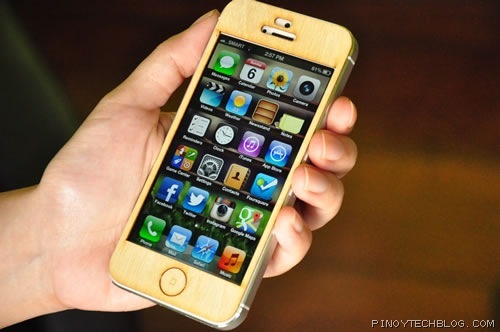 So what do you think of a wooden iPhone? Or a wooden iPad? Or a wooden Samsung Galaxy S3?